Explore the power of your creative voice through various techniques of printmaking* as we take a hands-on tour of the history of printing and its evolution into digital and now 3D printing. From the Bible to the DIY punk zine, throughout history, printing has helped disseminate information and spark political and social movements. We will examine the historical and modern value of printing and how it continues to mobilize various social movements, such as the DIY maker movements and 3D printing. 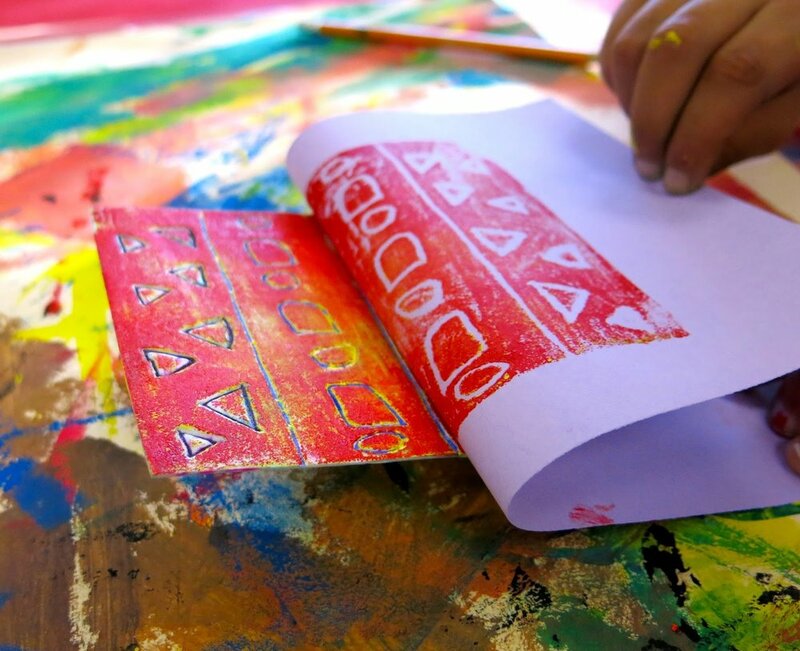 You will discover ways to print from everyday objects and tools in addition to using block carvings, antique letterpress equipment, digital scanning and printing, silk screening and 3D printing. Work will be created at various locations, including the art studio at school, outside in nature, off campus print studios and visits to other workshops and museums around Los Angeles. Projects may range from personal art prints, to political posters, silkscreened work and more. Share your prints with classmates and leave with a portfolio of your evolution of print. You will be sure to get your hands inky and have some fun! *Printmaking is a visual art form in which artwork is created and then reproduced into multiple copies by transferring the design or text from one surface to another. No experience is necessary for this course, though an interest in drawing and design would be beneficial. Students at all levels of ability are encouraged to enroll.